As the capital city and largest city in Massachusetts, Boston is an important exhibition hub on the East Coast. Located near the waterfront, the Convention Centre in Boston is an exciting and lucrative place to exhibit. We have a collection of excellent trade show displays that will help you capitalize on your time in Boston! Where is the Boston Convention Center Located? The Boston Convention and Exhibition Center is located at 415 Summer St, Boston, MA 02210. It is among the largest exhibition centers in the Northeast, featuring three bays and over 2.1 millions square feet. It is centrally located near the South Boston waterfront, across the harbor from the international airport. Effective trade show booths don’t need over-the-top fancy graphics or catchy slogans. The booths that do their job are usually the display booths that have a professional but understated presence at the show. The booth’s color combinations, shape, and signage doesn’t have to be over the top for companies to have a successful show. They just have to be understandable. Vendors who are successful know their display booth pays for itself in several ways. It shows the direction of the vendor, and the booth also demonstrates a vendor’s commitment to buyers. Trade show costs can be annoying. But there are big rewards waiting for vendors and buyers when they do their homework before the show. 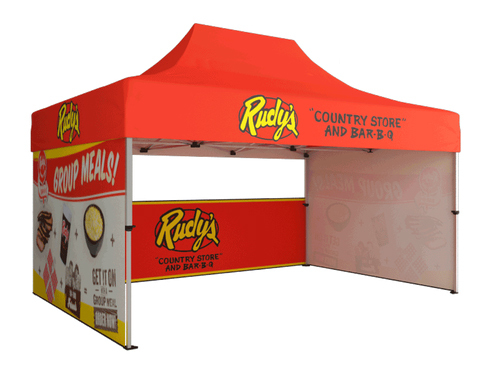 Big display booths can be expensive, but a 10’ x 10’ well-designed booth is a money saver. Buyers want to find what they are looking for when they travel to a trade show, and a 10’ x 10’ highlights what buyers need without unnecessary frills. There are times when buyers don’t know what they want. But a display booth with a clear message gives buyers the impetus to dig deeper, and to discuss options they didn’t think about before they attended the show. Buying and selling techniques are changing, and a well-designed small trade booth can help any company reach the global market without spending time and money running around the world. A well-appointed, but simple, display booth gets any marketing message across without distractions. And a display booth that is open and feels professional sets the stage for buyers to act quickly. The best way to capture the fascination of a buyer at a trade show is to have a display booth that speaks for the company before any representative of that company opens his mouth.